Did you know? - The method of encasing Pop Tarts in foil was never done on human food before so they borrowed from the popular method of encasing dog food in tin foil which is still used to this day. 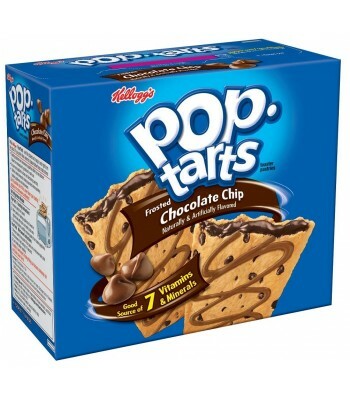 Pop Tarts are rectangular shaped toaster pastries that are filled with many different tasty fillings and covered with spectacular sweet tasting frostings. They can be enjoyed hot or cold at any time of the day but traditionally are served hot at breakfast time.